In the midst of last year’s contentious state budget negotiations, a prominent state lawmaker quietly secured $62,000 in state-approved economic development grants to expand his private law practice. N.C. Rep. Tim Moore, a five-term Cleveland County Republican, received a $30,000 grant of federal community development money last spring from the N.C. Department of Commerce as well as a $32,000 grant of state money from the N.C. Rural Center, a non-profit economic development group funded through the state legislature and private sources. The public monies will partially fund an estimated $225,000 renovation of a vacant historic bank building Moore owns in downtown Kings Mountain, Moore’s hometown 30 miles west of Charlotte. To be eligible for the two grants, Moore promised to expand his small private practice from himself and two staffers to seven employees by the summer of 2013. Moore, the co-chair of the powerful N.C. House Rules Committee, turned down an in-person interview request with N.C. Policy Watch, but provided written answers to questions about the $62,000 in grants. In his comments, he referred to a Jan. 6, 2011 informal advisory letter he received from the N.C. Ethics Commission, which found the state’s ethics laws didn’t prevent him from applying for the funds. The burden, under state ethics law, falls to Moore to ensure his legislative votes aren’t improperly influenced by the money, and that he didn’t use any privileged information he had as a legislator to help him in the grant application process. As with many state-level economic development projects, the city of Kings Mountain (pop. 10,000) applied for the grant money to the agencies on behalf of Moore, who has served as a Cleveland County legislator since 2002. Rick Moore, Tim Moore’s father, also serves on the Kings Mountain city council , but the elder Moore did not participate in any of the discussion or votes to back his son’s business proposal, according to city council minutes and the younger Moore. 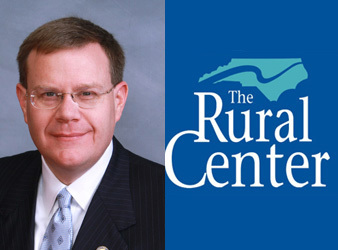 Both the N.C.Rural Center and Commerce Department said Tim Moore made initial contact with the agencies through legislative liaisons, and say that Moore didn’t make any attempts to personally influence the decision to grant him the money, an assertion shared by Moore. Renovation on the downtown bank building has yet to start, and Moore has not drawn down any of the $62,000 in grants he received last year, according to the N.C.Rural Center and Kings Mountain planning director Steve Killian. Moore also hasn’t hired a general contractor for the project yet, a requirement for the N.C.Rural Center grant, but he hopes to begin the renovation work in March. He expects to hire the four new staffers (two lawyers and two paralegals) by August, and must have at least three of the new hires be people who had low-to moderate incomes in the previous year, in order to comply with the regulations of the $30,000 Commerce Department grant Moore received through a federal Community Development Block Grant (CDBG) Small Business Entrepreneurial Development Program . Though there is no direct ban on lawmakers receiving state funds for their personal business ventures, watchdog groups say it can still pose headaches or problems for legislators. Elected officials in decision-making positions need to tread carefully when their personal business pursuits become mixed with taxpayer money, said Bob Hall, the executive director of Democracy NC, a state government watchdog group. Bob Phillips, the director of Common Cause North Carolina, said the appearance of a conflict of interest can exist, and he advises elected officials to take steps to avoid situations where even the appearances of conflicts of interest arise. Moore pursued the economic development money in the midst of one of the most heated budget fights at the state legislature. In the first-half of 2011, the state legislature was embroiled in fierce, partisan debates about the state’s budget before a $19.7 billion budget passed the GOP-led legislature over Democratic Gov. Bev Perdue’s veto. The budget included across-the-board cuts in state agencies, including elimination of 6,300 public education positions and the lay-offs of more than 500 teachers and 1,200 teacher assistants. Republicans, in power of the N.C. General Assembly for the first time in a century, hailed the trimmed budget as a victory and much-needed return to scaled-back spending on the state level. Moore voted for the budget, in line with the rest of his party members and five House Democrats that sided with Republicans to override Perdue’s veto. “We inherited a multi-billion deficit from the previous leadership and had to restore fiscal responsibility to the state government,”Moore wrote. That view of last year’s budget shortfall was far from universal in the legislature, with Democrats arguing that many of the deep cuts were harmful, needless and caused by Republican leadership’s refusal to consider extending a temporary one-cent sales tax. But while Moore and his fellow lawmakers were knee-deep in debates about cuts to state services in the following fiscal year, he and Kings Mountain city staff corresponded and talked with program officials at the Rural Center and Commerce Department to secure the two grants for his private law firm. Talks with the state agencies about the grants began in early January 2011 and continued through May and June, when the grants were approved, according to email correspondence from Moore, Commerce and Rural Center staff obtained by N.C. Policy Watch through a public records request. Included in the public records request was an email Moore penned Feb. 6 to Adam Hines, a consultant working with Kings Mountain, urging the city to get the Rural Center application in soon. “We should get the application files asap because the grant funds may be drying up very soon at the state level,”Moore wrote in the email. Moore, in the written comments to N.C. Policy Watch, said he was referring to the popularity of the grant program, and not because of any insider information he had as a legislator. “There are many communities encouraging business to apply for the funding and I wanted to make sure my application was submitted in time,”Moore wrote. The Rural Center said it disclosed Moore’s role as a state lawmaker at every step of its review process for the Building Reuse and Restoration Program  grant. A Commerce Department spokesperson said that while one program official talked early on in the process with Moore about grant possibilities, staff in the office that approved Moore’s grant didn’t know he was a lawmaker until contacted by an N.C. Policy Watch reporter. The Commerce department money had initially been given to the city of Kings Mountain for a medical wellness center project that fell through. Instead of turning the money back over to the state, Kings Mountain officials were able to distribute it amongst several other businesses. Moore wasn’t on a list recommended by city staff in March for city council approval, but was added the next month after inquiries from Hines, according to email correspondence from city staffers. Billy Ray Hall, the longtime director of the N.C. Rural Center, said he had no personal contact with Moore about the grant and said Moore had to be treated like any other North Carolina business owner applying for the grants that go to restore vacant, unused buildings in the state’s rural areas and small towns. The Rural Center has done about 350 similar projects since 2004, when the program began, and it’s since become one of the Rural Center’s most popular programs, he said. No other state lawmaker has been a direct recipient of funds in the program, though Hall said several years ago, a grant given to a tenant of a building owned by state Sen. Clark Jenkins, a Tarboro Democrat. “We have to treat everybody the same,” Hall said. The brief mention of the $32,000 grant (page 30 of the Rural Center’s annual report ) is listed as “First National Bank Rehabilitation and Reuse” with no reference to Moore nor his being the owner of the building. Moore, in his written answers to N.C. Policy Watch, maintained that his position as a legislator did not give him an unfair advantage in the grant process, and said he wanted to be treated as any other business owner would be. Questions? Comments? Reporter Sarah Ovaska can be reached at (919) 861-1463 or sarah@ncpolicywatch.com.